I shared this DIY in my Instagram stories yesterday and got SO much positive feedback, I decided to give it it’s own blog post! I also plan to save this in the DIY section of my blog so it’s always easy to find. Back in January, I decided to take a basket I had found in the clearance section at Target and turn it into a hanging light! I used a light cord I already had (I later replaced the macrame cord with a plain light cord), and two ceiling hooks to make big impact over our breakfast nook for ZERO dollars! Put the wall plug end of the cord up through the hole (from the inside of the basket) and pull it all the way through. The part of the cord where the light bulb screws in should now be at the top of inside the basket. Screw a light bulb in, then hang your new pendant from the ceiling + enjoy!! check out my macrame cord DIY here! Just in case you need to be pointed in the right direction of what type of basket to use, I found six that I think would look great! I also recommend checking out the Target clearance section or HomeGoods for a good basket! 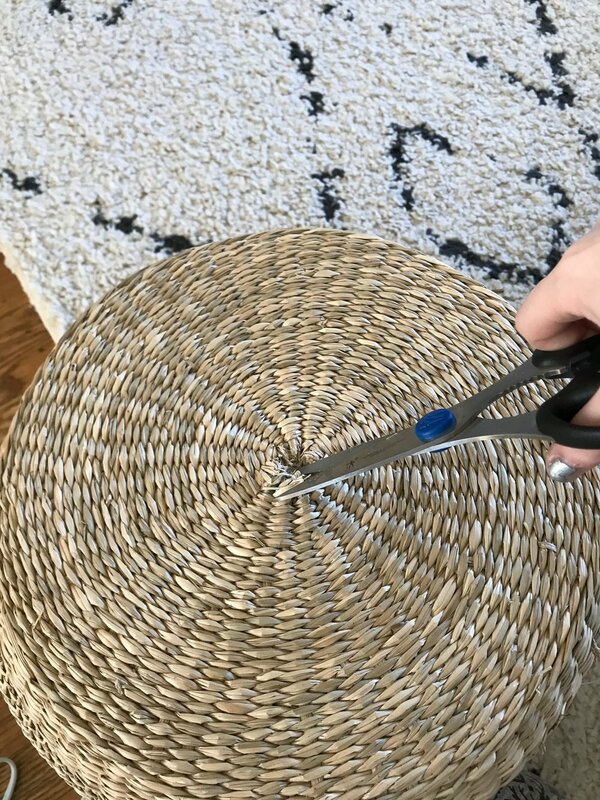 Also — you’ll most likely have to cut off the handles on the basket (it seems like the majority of baskets out there have them). As long as the handles were woven on separately, it shouldn’t be an issue at all! BE SURE TO CHECK OUT MY OTHER DIY PROJECTS HERE!